The Lion the Witch and the Wardrobe: An Allegory for Parents – The Bookshelf of Emily J.
I never read this book as a child. 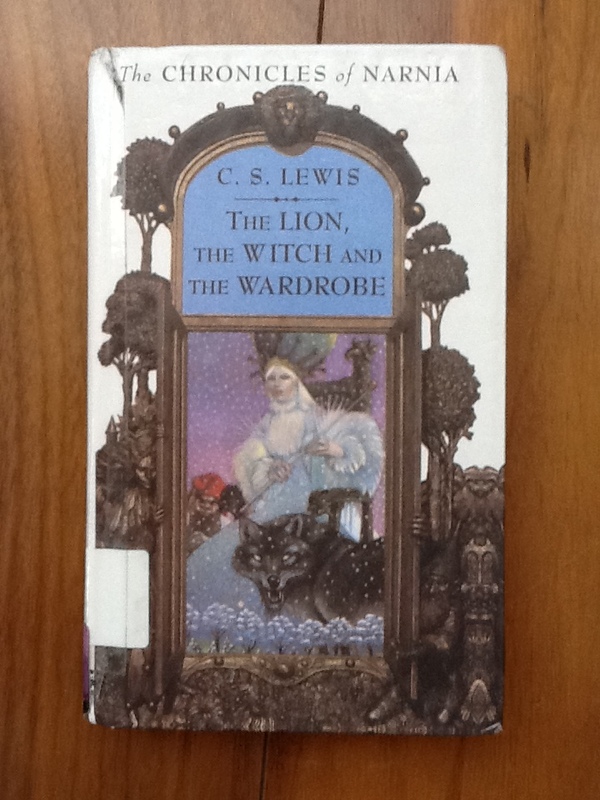 It’s The Lion, the Witch and the Wardrobe (1950) by C. S. Lewis and number 36 on the BBC book list. I had heard of it. Of course I had. I knew that people raved about C. S. Lewis, but I had never experienced him myself. So after my first semester of college, I went home for Christmas break (the last time I ever did) and found some extra time on my hands. I was not yet a declared English major, but I had always loved reading. So I decided that this break would be a good time for me to read The Lion, the Witch and the Wardrobe. I read it each night as I lay in my girlhood bedroom. I escaped into the world of Peter, Susan, Edmund, and Lucy and their exploration of the large home they were visiting. I’ve always loved house plans, and in my younger days I spent hours creating them and fancied myself a future architect. That obviously did not happen, but hearing about the twists and turns in the house was appealing, even before the children entered Narnia. It was a world of escape. The house to begin with was an escape during World War II, but Narnia led to the ultimate escape for the children. I wished I could escape the circumstances of my family while I was visiting that winter. College had been so liberating, and I came home to find my mom and step-father fighting with my little sister. They had forbidden her from seeing the boy she liked, a nice boy of no particular religious persuasion. And that was the problem. He was not “one of us.” They had tried grounding her, yelling at her, forbidding her, and controlling her every move. She still saw him. He was her best friend, an extremely intelligent boy, and one who had no bad intentions. But my parents could not see that. It caused a rift, and at the end of that Christmas break, with all of the contention, threats, and fighting (which were typical of my entire childhood), they drove my sister to the airport as they drove me back to college. They sent her to live with my dad, assuming that the distance would sever her ties to the boy. Well, she married that boy. He is a wonderful man who makes my sister happy. They are good for each other and he is good with my children. I love having them over to visit. We have stimulating discussions on every topic, and I value his insights. I value his humanity. I also value my sister’s choice to choose who she wanted to love and marry. But the control of that choice was at issue while I read The Lion, the Witch and the Wardrobe. I escaped my reality of an unhappy family into a magical world of children’s games. Yet that fantasy turned out to be just as complicated as real life. The children learned to deal with people and creatures who were different from them. They learned to face evil and overcome it. They had to grow up and become responsible solvers of their own problems. There were no adults to protect them or force them into compliance. They had to think for themselves and make their own choices. Those choices and circumstances were difficult, but they learned and they did it. It is a lesson in parenting. If we want our children to make good choices, we must let them choose. We must let them learn, even if from our perspective we see those as mistakes. Nobody is perfect, and one of my favorite quotes from a leader of my religion, Dieter F. Uchtdorf, is this: “The heavens will not be filled with those who never made mistakes but with those who recognized that they were off course and who corrected their ways to get back in the light of gospel truth.” The way that we learn is by experience. Sometimes we learn lessons more vividly if we make a mistake. Sometimes we have to learn through something hard. I am truly preaching to myself here. My husband and I were discussing our own children and how hard it will be to see them face difficulties and perhaps choose the wrong things as they get older. However, we agreed that we would love them anyway and that we would be there for them no matter what. If we view their decisions as unacceptable, we will not reject them or send them away. We will not threaten to force or attempt to coerce. We will love. We will invest with our time now to ensure that they know we love them. It will be hard. I know teenagers aren’t easy, but I also know that making one’s own choices is what makes that person independent and capable of being an adult. In The Lion, the Witch and the Wardrobe, I see an allegory for raising children. They are capable of facing great adversity and learning from their mistakes. We just need to let them, with love. It is hard but true. I wish “somebody” could have prevented my mistakes, but then I wouldn’t know what I know and be who I am! I love The Chronicles of Narnia. I was hesitant to read Lewis’ adult things because I had such a connection to his y.a. But his adult stuff is interesting too. Even if you don’t believe the same things as him, it still gives you something to think about and he has an excellent vocabulary. His adult books are good too. I’m glad that you mention not believing as he does, but still being able to appreciate his work. That’s fantastic. I try to be that way as a reader. It’s hard sometimes to appreciate a different view. I have a lot of the same beliefs as he does but he was writing in the 1950’s so there was a different way of thinking. This is simply wonderful! Thank You! I love that you mentioned the need for children to learn from their mistakes. So many parents are overprotective of their children that they don’t allow their children to fail. These kinds of parents need to learn the lessons of this book. It is so hard to let children fail or feel heavy disappointment, but they learn from it. They really do. It’s true- our children must make their own mistakes. Personally, I would rather let my son make them now while he’s small and I can still help him through them. If he is shielded from making his own choices now, he more likely to make a very large irreparable mistake later on. Learning how to make choices is just as important as the choices themselves. That’s a great point. If we start when they are young, maybe it will be “easier” when they get older, or they’ll at least have some of the skills necessary to face those choices. I really take on board everything you say about parenting, but I wonder if you’ve read the later books in the series. I have far greater problems with some of the social messages in the other stories. Reblogged this on One day I'll be normal. How nice of you. Thanks! Your very welcome great piece, loved telling of your sisters love story. What an awesome book and a nice review. C.S. Lewis has been one of my favorite authors for years. I really enjoy every single book of «The Chronicles of Narnia». Sometimes, when I’m feeling lost, I pick one of those books and re-read it. Thank you for your magic words ^^Greetings from Spain! Spain! I want to go there. My great grandparents were from Spain. I’m also glad to hear that you like the books and my review. Thank you for reading! Great last paragraph. It is hard to do, but important. Thanks, BTG. I’m sure you’ve experienced this already! Wonderful article and your review along with your insights made it all the more enjoyable. I enjoyed reading your comments on The Lion, The Witch and The Wardrobe, Emily and felt that you expressed just how important literature can be in forming our understanding of life. I was moved by your personal comments and glad to hear about your sister’s happy ending. As a grandparent I have the pleasure of enjoying my grand-daughters now and I want to tell you that it makes all your own child-rearing experiences a privilege – even the teenage years! That is so good to hear. It is tough to be a parent of young children now, but I do look forward to the rewards that seem slow to come, but I know they will. I am already seeing them. Thank you for your lovely words. The you,the me and the we in great love? Thanks, George! It is nice of you to be here!